The product identification codes can be found on the back of the packages and on the individually marked vanilla cones from the 24 count pack. The two packs being recalled carry distinct UPC codes, as well as a “best before” date and production code. Customers who purchased the recalled products should not consume them, but return them to the place of purchase or contact Nestlé consumer services for replacement. 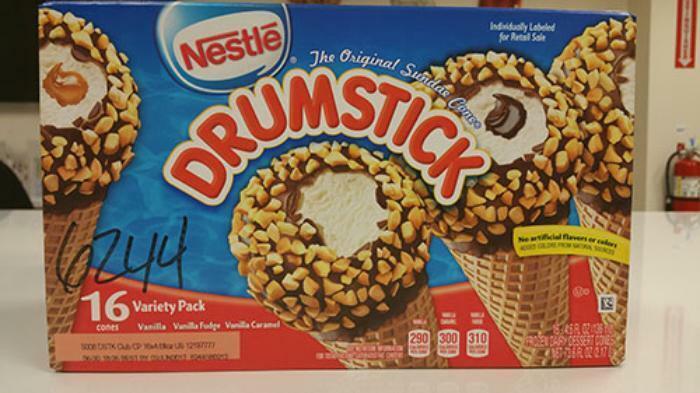 Consumers may contact the company at 1-800-681-1676, by email at Nestleproductinquiry@casupport.com or online www.Nestleusa.com and www.Drumstick.com.